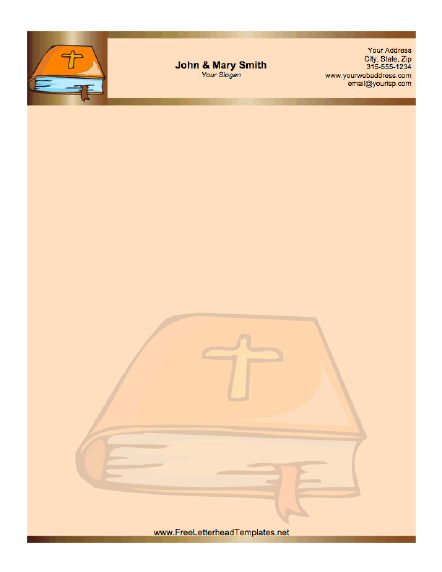 A Bible with a cross on it is the focus of this printable letterhead. Free matching mailing labels! Free printable mailing labels that match this letterhead design are available at Printable Labels.net.